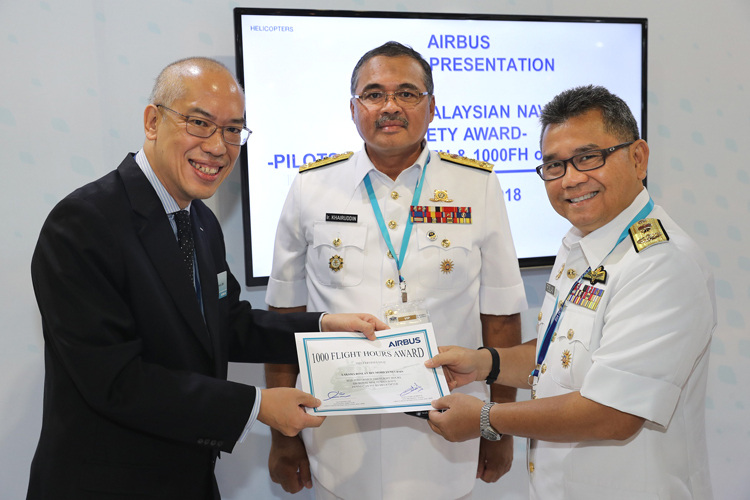 The Royal Malaysian Navy has received an Airbus award for the excellent flight safety operations of its fleet of AS555 SN Fennec helicopters, at a ceremony on the sidelines of the Defence Services Asia exhibition and conference (DSA), in Malaysia today. 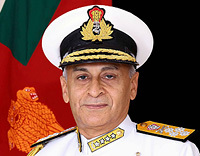 Assistant Chief of Staff Engineering Laksamana Muda Dato' Ir. 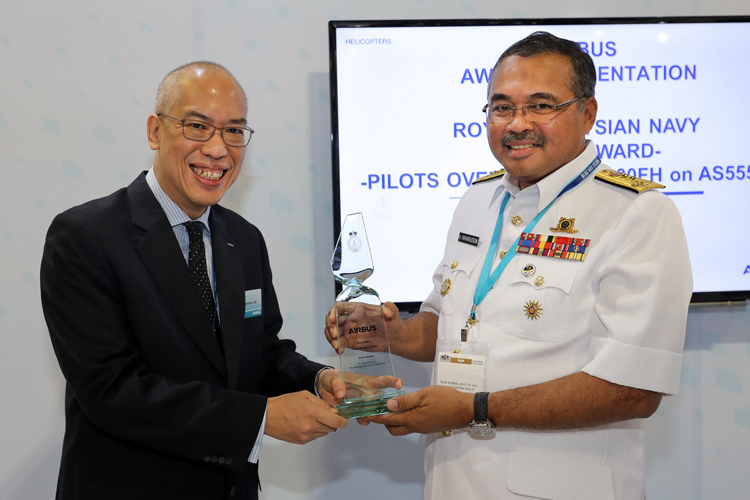 Haji Khairuddin bin Khalid received the flight safety operations award on behalf of the RMN. 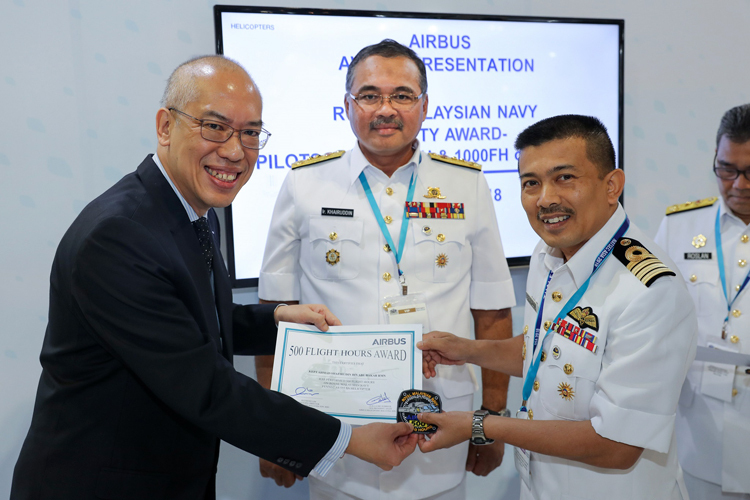 Commander Naval Aviation First Admiral Roslan Mohd Yunus and Chief of Staff Captain Sazalee Shoib were presented with the 1,000 and 500 flying hours achievement awards, respectively by Airbus Head of Country Raymond Lim. 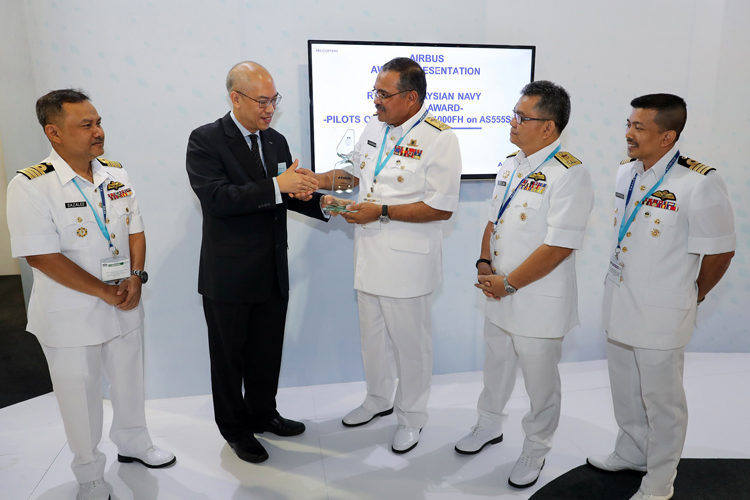 The Royal Malaysian Navy's fleet of six AS555 SN Fennec helicopters has been in service since 2004. The light twin, multi-role AS555 SN fleet is used for over-the-horizon targetting and training. 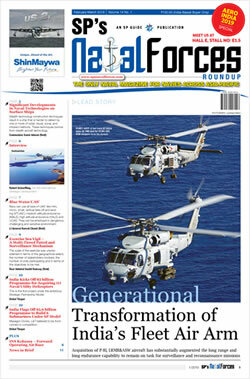 Together, they have achieved over 18,000 flight hours.